← Election Day Is Here ! 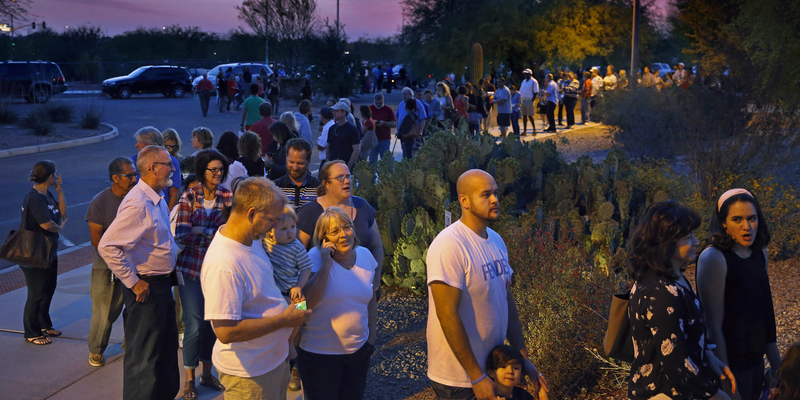 This is an image of the voting lines in Phoenix. I lived in the Valley of the Sun for 7 years. I remember standing in line for over two hours waiting to vote in 2008 for John McCain for president. I was in Ghana, Africa in December 1999 and happened to see the first ever free election there. Ghana has been a leader in Africa for a long time with their forward thinking. This election had a populous candidate verses the former Vice President of the long termed president/dictator Jerry Rawlings. I remember driving through Accra and seeing long, long lines of people waiting to cast a ballot. Outside the polling place were soldiers holding their weapons on the top of tanks. It was quite a sight. My friends explained that there was fear of violence, which was quite evident. 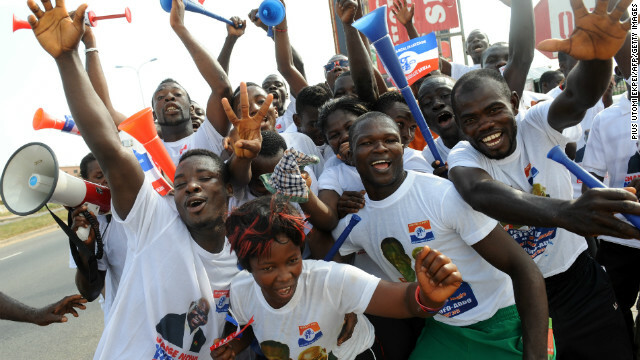 As the results were being announced, Ghananans were driving around blowing their horns with peace signs out the window for all the world to see. They had been forced to live under a ruler for many years, I am thinking nearly 20 years with no say until that winter day. There were observers from around the world and TV camers as well. The people were hopeful that with the whole world watching, there would be no fraudulent activity, and it worked. And who can forget the amazing election in India of the new Prime Minster Modi in 2014th ?Here is an image of the men and women divided into gender lines. This is true all through India in situations like entering a mall or security at an airport. In this election there was an incredible 66 % of the eligible Indian population voted in this rise of the people to support Mr. Modi. Indians take the responsibility and duty of voting very seriously. I read somewhere that Indians cherish those days when they are equal of anyone else with one vote to use. The small pieces of paper are their voting registration. To me one of the main elements of this 2016 election is the sovereignty of the US. It was our Brexit election where the people rose up and declared ourselves American citizens and not citizens of the world. This entry was posted in India, Uncategorized, USA and tagged democracy, election observers, Free elections, Ghana, India, United States. Bookmark the permalink.